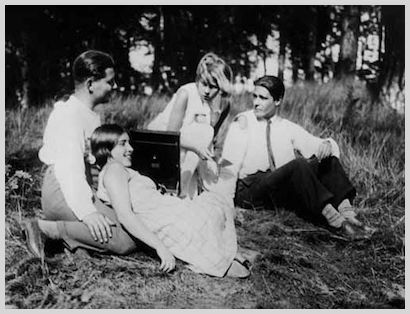 People on Sunday (Menschen am Sonntag, Germany 1930) was one of the most innovative films of the late Weimar Republic, created by five young and then unknown German-American filmmakers. Only three years, however, after Billy Wilder, Robert and Curt Siodmak, Fred Zinnemann and Edgar Ulmer finished this movie that made their name, they all had to flee Berlin and soon became famous again in Hollywood. For these biographical as well as for aesthetic reasons People on Sunday was, as several critics have stated, pivotal not only in the development of German cinema but also of Hollywood. However, this movie was not a feature film like the ones its makers later shot in the US, it was a (semi-) documentary that for the very first time portrayed everyday life in a modern metropolis. Our joint Summer Workshop People on Sunday – or rather People on Sunday 2010 – took its cue from this masterpiece by five German-American filmmakers and was centered around practical work: the making of short documentary or semi-documentary portrayals of everyday life in a contemporary big city – Cologne; filmed by German-American teams and from an intercultural perspective. 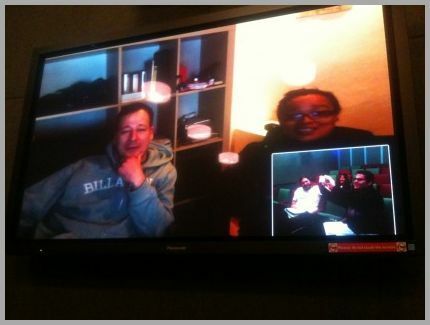 After I developed the project, I proposed it to Prof. Barbara Boyle of the UCLA Film School in August 2009. Sponsored by the state chancellery of North Rhine-Westphalia, the German-American cooperation was then signed in Los Angeles – in the presence of Andreas Krautscheid [then Minister for Federal Affairs, Europe and Media of the State of North Rhine-Westphalia] in October of 2009. The Summer School started on June 21 with five days of academic instruction. 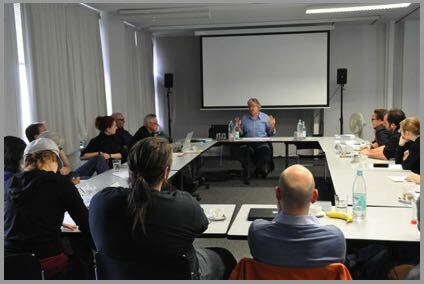 In seminars, lectures and workshops, taught by Prof. Chris Horak, PhD (UCLA), Prof. Lisa Gotto, PhD (ifs) and myself, the participants analyzed the 1930 movie People on Sunday, learned about its history, its influence on German and American film making and about the life and works of its makers. During this first week, the participating young film makers also formed mixed German-American teams and started to develop ideas for documentary or semi-documentary shorts which they produced in the following five weeks, tutored by Prof. Becky Smith (UCLA), Prof. Gerd Haag (ifs) and Prof. Hans-Erich Viet (ifs). Alltogether, in five weeks four shorts, one compilation and a Making-of were created. Postproduction was then finished transcontinental via the Internet. People on Sunday 2010, the compilation close to the silent classic, premiered on November 6, 2011, in Los Angeles at the Goethe Institute. On November 8, the four shorts in their director’s cut versions were screened at the UCLA’s James Bridges Theater. 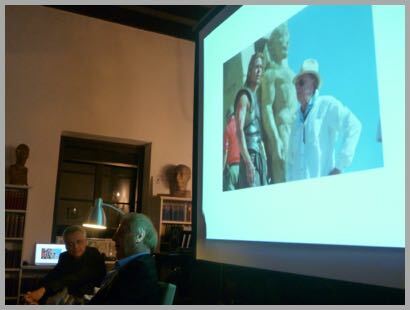 And later that day, we had an evening event on German-American Filmmaking – Past and Present at the Villa Aurora, the artists residence and historic landmark located in the former home of exiled German-Jewish writer Lion Feuchtwanger and his wife Marta. Actor Eric Braeden was reading texts from the creators of the iconic silent film Menschen am Sonntag (People on Sunday), which include Billy Wilder, Robert Siodmak and Fred Zinnemann. My short documentation “Wolfgang Petersen – Mein Leben, mein Werk” dealing with his German-American career was screened (in German, with English subtitles). The screening was followed by a panel discussion between Wolfgang Petersen and me on the longstanding tradition of German-American filmmaking. Since then Lucas Mireles short Playtime has been invited to the prestigious Sundance film festival (January 2012) as well as to the avantgardistic South By Southwest Festival (SXSW, March 2012). See the website of the movie –> here. 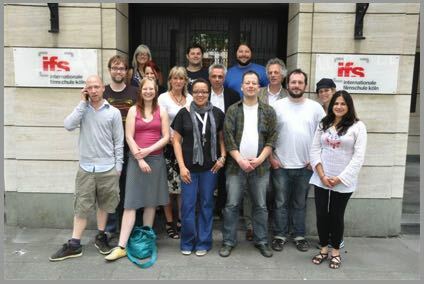 A German premiere of the films resulting from the project “People on Sunday 2010” is planned for spring 2012 in Cologne.